Gather everyone together to sit in the best seat in the house. 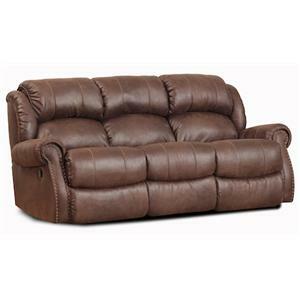 The large Double Reclining Sofa offers comfort with two reclining chairs, plush cushioning and padded roll arms. 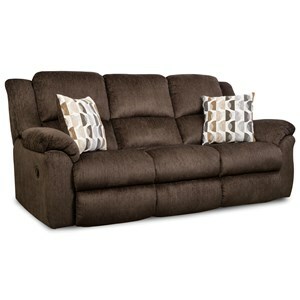 Whether you are getting ready to watch the big game or settle in for movie night, the sofa brings comfort for everyone. 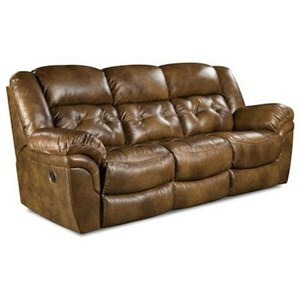 The sofa is covered in faux leather that is soft to the touch in a Dixie Espresso finish making it easy to pair with any color scheme. 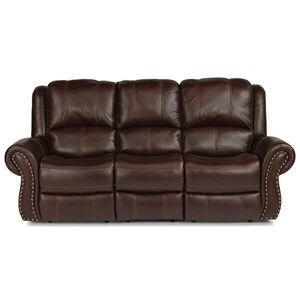 The rolled arms and nailhead trim add a touch of style that makes the Double Reclining Sofa a statement piece in your living room. 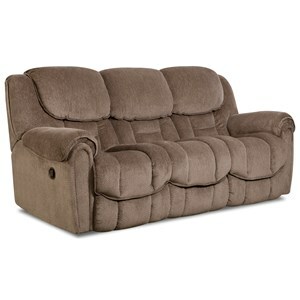 The 120 - 22 Casual Double Reclining Sofa by Comfort Living at Rotmans in the Worcester, Boston, MA, Providence, RI, and New England area. Product availability may vary. Contact us for the most current availability on this product. Padding & Ergonomics High density, solid foam seat core. Top-of-the-line virgin conjugate fiber in back. 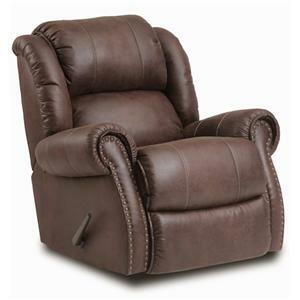 Warranty This limited warranty is valid only to the original retail buyer of the HomeStretch furniture and is applicable only to furniture intended for normal household and home office use. 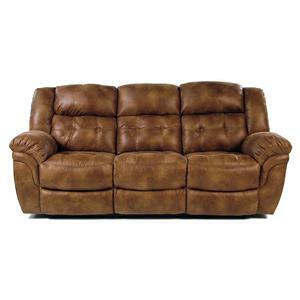 The limited warranty does not extend to commercial or rental installations of the furniture. 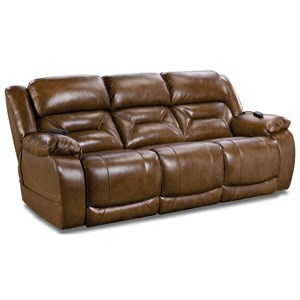 Bring the highest level of comfort to your living room with style and class with the 120 collection. 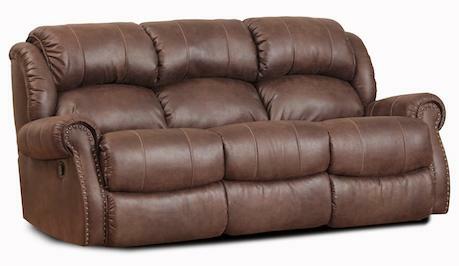 The collection features motion seating that is not only comfortable but will make a statement in your room. 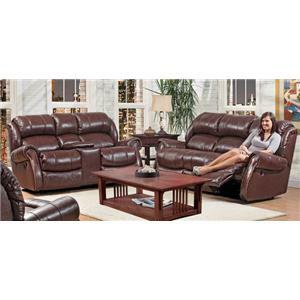 Pair the entire collection together or choose between a sofa, loveseat and recliner. 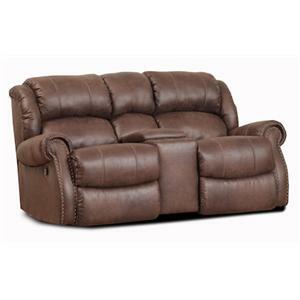 Each piece reclines back with a footrest to put your feet up on and relax. 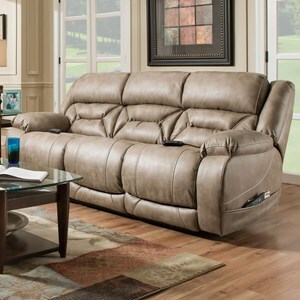 Sink into the plush, pad-over chaise seating, solid foam arm pads and faux leather lending a soft touch. Large roll arms and nailhead trim add a touch of style making the 120 collection ideal for any living room. 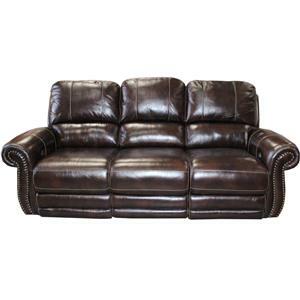 The 120 - 22 collection is a great option if you are looking for Casual furniture in the Worcester, Boston, MA, Providence, RI, and New England area. Browse other items in the 120 - 22 collection from Rotmans in the Worcester, Boston, MA, Providence, RI, and New England area.